Banksy is globally famous British artist whose identity is still unknown after decades of speculations. 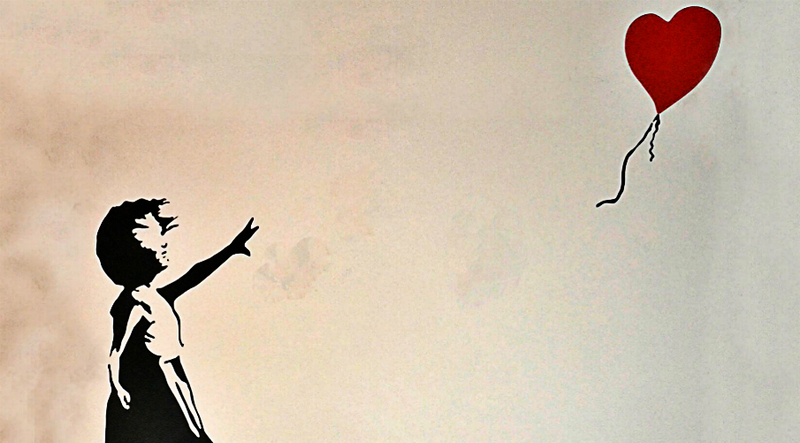 Banksy is famous for his radical and guerilla style of approach to his art. He has many famous artworks and graffiti, one of them is the famous “Girl With Balloon,”. This artwork was put into a gallery but what nobody knew is the prank that Banksy set up when this painting was being put there. He added a shredder inside the frame of the artwork and timed it to start shredding as soon as the artwork is sold on an auction. 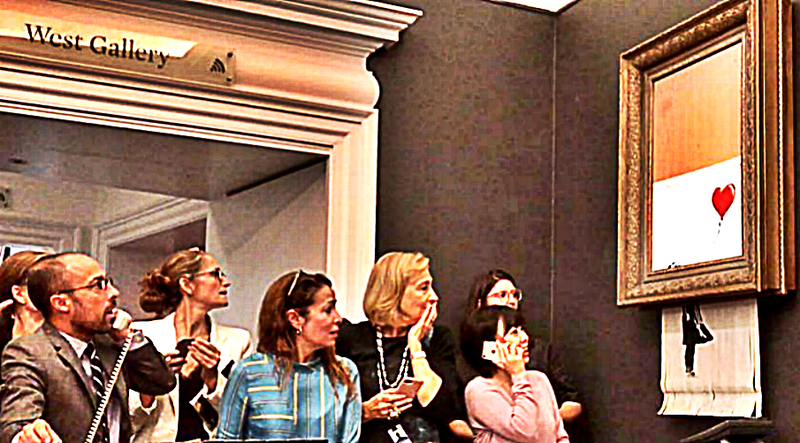 “Girl With Balloon” was sold for 1,042,000 pounds, or about $1,367,104, tying a record for the priciest piece of art ever sold by Banksy, according to the auction house. “Keep It Spotless,” a defaced work by Damien Hirst, set the previous record in February 2008. But as soon as the painting was sold, the shredder activated and the artwork was shredded. People watched in shock and confusion. Some of them, after they realized what was happening, took out their phones and captured pictures and videos of the happening. Banksy added to his Instagram a video appearing to show the shredder being built into the frame. “A few years ago I secretly built a shredder into a painting… in case it was ever put up for auction,” he posted with the video. This makes you think whether or not art can be really sold or valued properly, considering the artist itself holds much different meaning for their work. People tend to look for meaning within art but all they can find is their own reflections that they project upon the art. Nobody truly knows what the created art means for the artist. And if the artists create art that influences the world, are they given the right to destroy that art too? When does a piece of art stops belonging to the artist? The interesting thing about this event is that the artwork probably worths much more now, after the whole world saw the spectacular prank.